Mobile commerce is not desktop 2.0, and your mobile website or app is not merely a shrunken-down version of your e-store. Mobile is its own animal, with its own use context and utility. Mobile devices have 5 native features that ecommerce marketers and developers can embrace to augment the smartphone or tablet experience: voice, accelerometer, camera, GPS and device pairing. 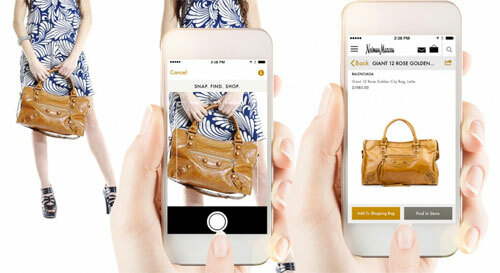 How are (and could) retailers leveraging them to boost mobile experience? 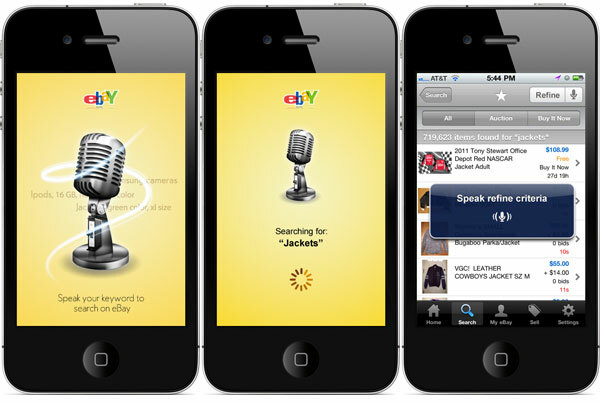 Any mobile commerce site can be searched by voice simply by leveraging the microphone built into the mobile OS, which translates it to text for the user. No special programming required by the merchant. Customers are not necessarily familiar with this trick, nor does it handle all that could be done with voice search and navigation. It’s simply a voice-activated way to search. M-commerce sites and apps can take this further. Beyond simple speak-retrieve functionality, there’s potential for applications incorporate natural language processing and artificial intelligence to handle queries like “Show me red leather handbags that fit a 15 inch laptop.” The application using AI may also serve as an informed sales associate, probing for further refinements and context as a guided selling tool. Once such artificial intelligence is market-ready, watch it transform digital commerce as we know it. Gone may be the days when anyone has to fiddle with menus and search boxes, the search experience will be as conversational as the physical experience, as could cross-sell and upsell. Though Gartner’s Hype Cycle for Emerging Technologies, 2014 placed Natural Language Question Answering at the “peak of inflated expectations,” plateauing in 5-10 years, we know Google and Apple both very active in developing and rolling out such features. If the ecommerce search vendor community doesn’t catch on and deliver this technology soon, we may see Google go ahead and apply its own cards-based ask-and-answer technology to its search engine for commercial queries, and potentially use to its own advantage as a mobile commerce marketplace. This may disrupt online shopping to the effect that one simply searches conversationally with Google and its merchant inventory, rather than visiting individual sites and apps. Or, Google may license its technology to retailers as its done with Google Site Search. Voice controls will likely be an important part of the wearable device experience in the future, some of which may be without an interface. “OK Glass, tell me where the nearest white men’s Nike Air Max in size 9 is in stock, and at the best price”. 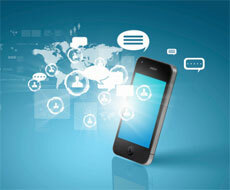 A smartphone or tablet’s accelerometer detects movement. If you’ve ever shifted from portrait to landscape mode, or shaken the Urban Spoon app, you’ve seen it in action. Warby Parker’s mobile site allows shoppers to see multiple product views by simply tilting their devices left and right. Not only is this uber-cool, it solves the tiny-tappable-target issue that so many mobile sites have when it comes to displaying multiple images. In addition to the cool-factor, this is a practical way to incorporate tapless-interaction and control that can be applied to any ecommerce site today. And like voice, movement gesture may find its way into the wearable commerce experience soon. From Tesco’s Korean subway 2D grocery store to scan-to-shop catalogs, the camera is a native smartphone feature that brands and retailers have been tinkering with for a while. The next opportunity is visual search which, like voice, can help mobile users search more efficiently and effectively. Macy’s, Neiman Marcus and Tesco are early adopters. 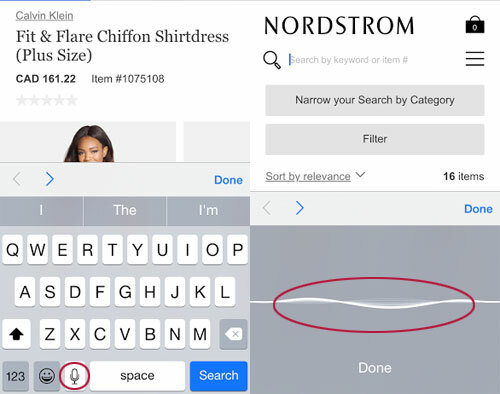 While GPS can be used for push text marketing, in-store wayfinding and home page merchandising, Macy’s has found a new way to support omnichannel customers researching on mobile to experience or purchase locally, offering the option to sort products in search and category results by what’s in stock at nearby stores. I’m going to call this tactic “proximity merchandising,” a twist on proximity marketing. In addition to in-store beacons, mobile devices are pairable with wearables, and we’ve already seen several online retailers launch Apple Watch apps. 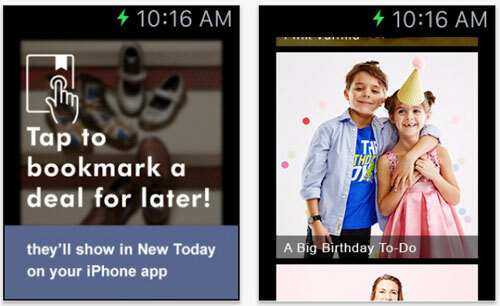 For example, Zulily’s Apple Watch app taps into “mobile moments,” allowing users to manage wish lists from their wrist (wrist list?) and bookmark flash sale items to view on a larger screen when they have time. The e-tailer has also built upon its proprietary personalization technology to custom curate the shopper’s home page based merchandising on past behavior and preferences. (Just as mobile isn’t smaller-screen version of the web experience, neither are wearables the mini-version of mobile. Consider their use contexts when determining which features belong in the wearable experience).